I'm trying to post some pictures of my Mustang (that rusty thing called a Mustang, as I'm just at the beginning of the restoration). I wanna see if it works this time. Yes. This time your classic Mustang pictures were uploaded. I remember your post before, but there were no pictures. 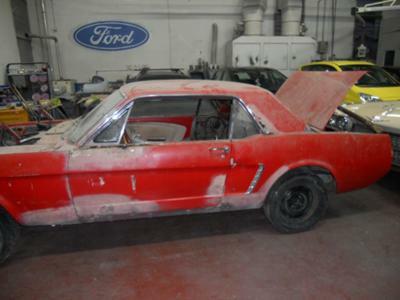 I try to provide value to all visitors, whether you are restoring a 1965 Mustang or looking for information about repairing mechanical issues. So when I receive a quick note, with nothing that can inform, you will not find it automatically posted, like some other forums. 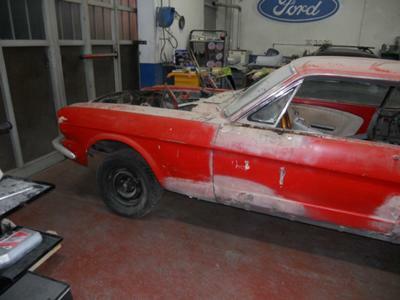 Now that you see your Ford Mustang restoration project pictures up, I'm hoping you will write back and give us some background about your car and what your plan is for it. Looks like you have a great base on which to start a restoration! It's hard to tell from the pictures whether that's a 1965 or 1966 Mustang. Send in some more information through another contact me! 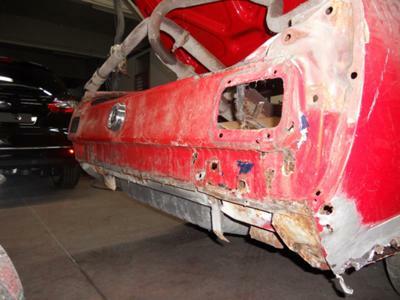 form and I will add it to your Mustang restoration pictures. You should get some great reactions on the road in Italy, driving your pony car when it's finished.